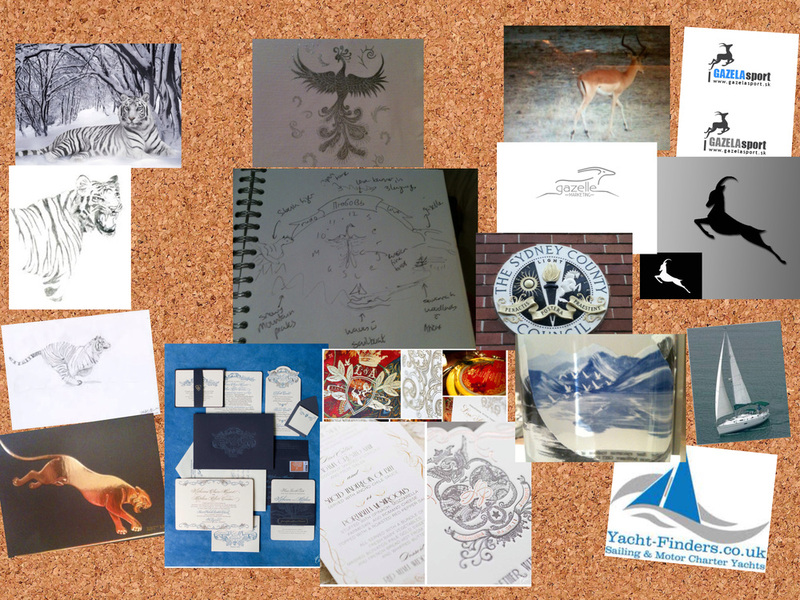 The bride's idea board for the wedding crest. 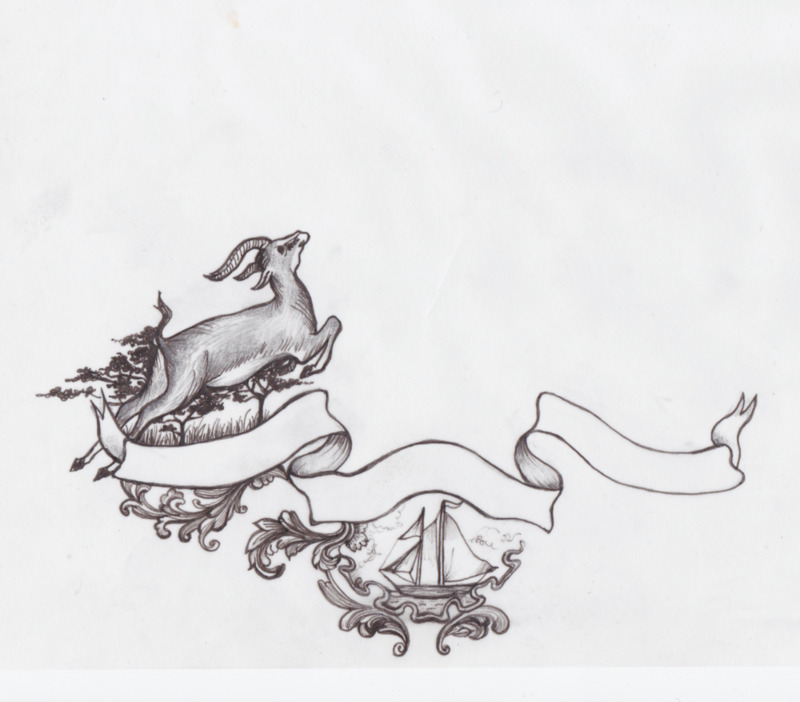 Well that was a fair amount of detail she wanted, so I started to organize the elements into a code-of-arms template, with the animals on both sides. I added the borders and a banner to the picture by drawing them separately.